Any freelancer who charges by the hour knows there are an abundance of time-tracking apps available. They're not just for tracking your working hours, though. For self-tracking enthusiasts, there are plenty of apps to track what you do all day long, if that's your thing. I took a look at apps that focus on personal time tracking and rounded up the best I could find (if you're looking for apps to track your work time, try this list). 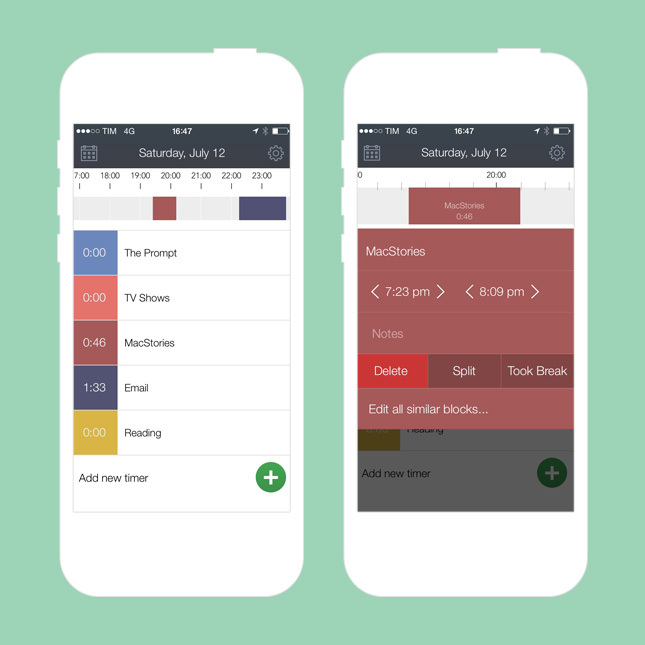 Hours is a simple iOS app that lets you track different activities or projects. It shows your day in a timeline view so you can visualise what you did, and lets you add notes to each entry. It also provides full reports that you can view in the app or export to PDF or CSV formats. The best kind of time tracking is the kind that runs in the background without you doing anything. 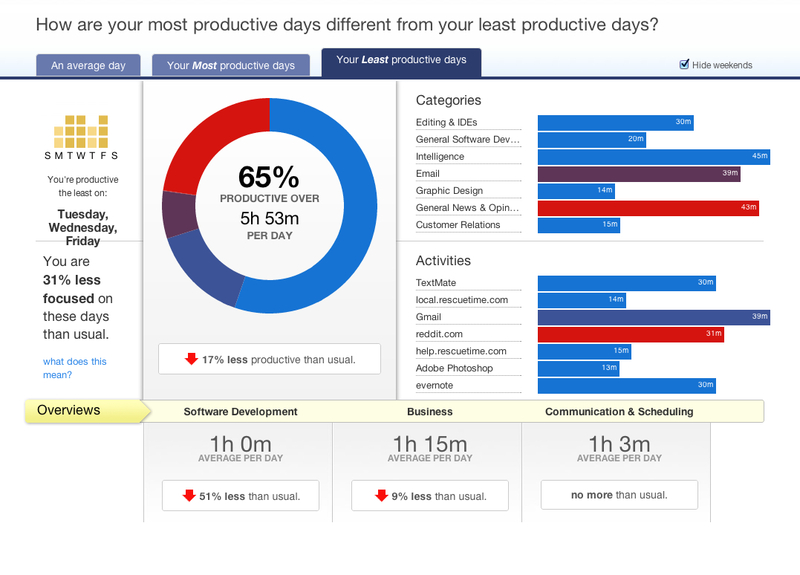 RescueTime monitors which programs or apps you spend the most time using, and helps you understand how much of your time is spent productively. You can adjust your settings to tell RescueTime which apps are productive and which ones aren't, and with a premium account you can track time you're away from your computer, too. If you always have your phone with you, this iOS-only option could be all you need. 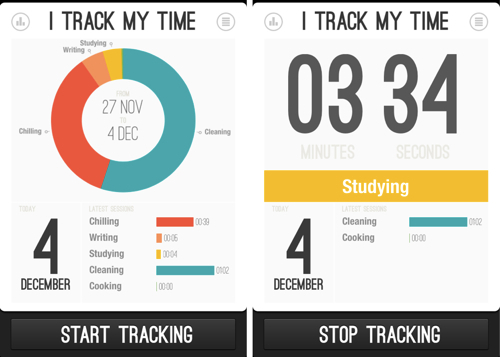 iTrackMyTime breaks down your time logging into charts and infographics so you can visualise your habits. You can export your data as a CSV file or share your stats on social networks. 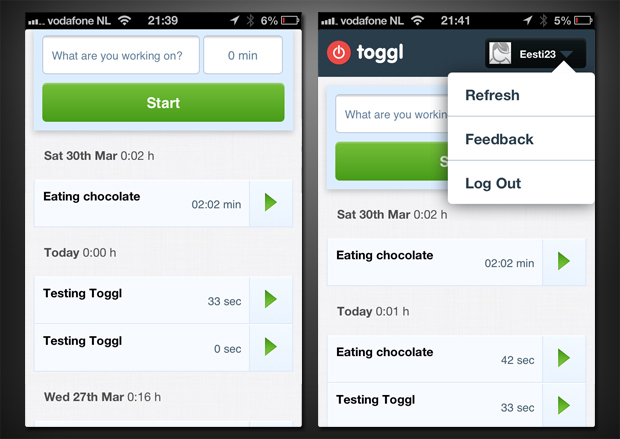 Toggl is focused on making time tracking as easy as possible. To get started, you type in whatever you're working on and hit the "start" button. In case you forget to track your time, you can add time entries later. And each entry can be tagged to help you visualise how you spend your time overall. 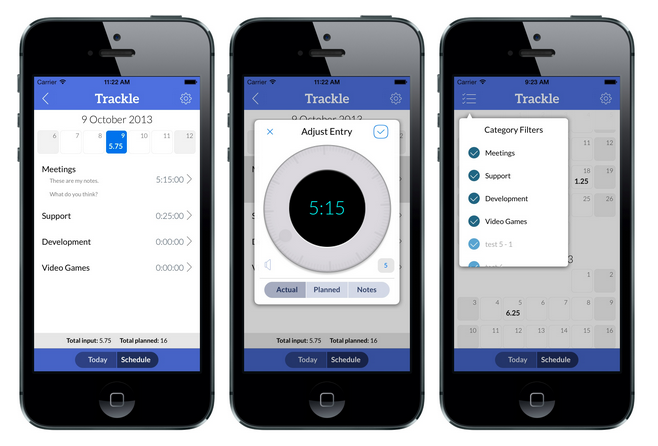 Trackle is another iOS-only option that makes time tracking simple and fast. 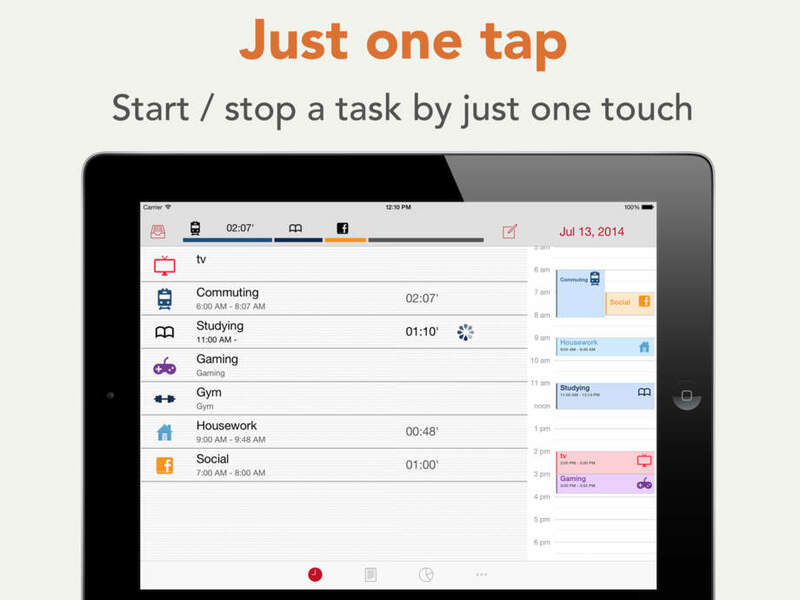 To start with, you set up categories for your different activities, clients, hobbies, or whatever you want to track. Then it's just a matter of hitting the start/stop button to log your time. You can also set a planned amount of time for each category, and Trackle will let you know how you're doing compared to your goals. 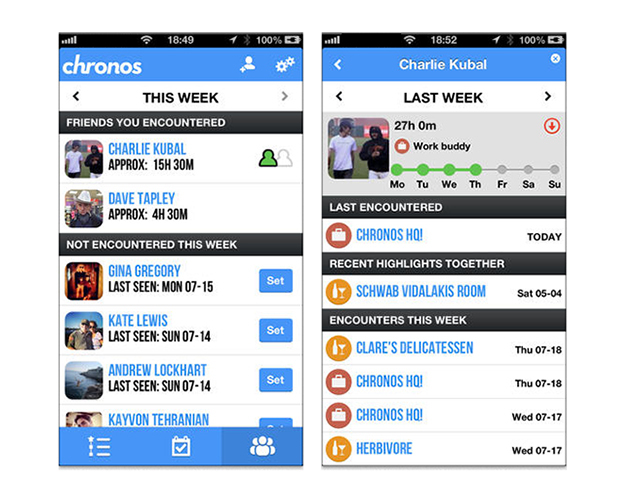 Chronos is all about passive tracking, which we love. It runs in the background on your phone and captures data to show you how and where you spend your time. ATracker provides a lot of customisation, so you can change the theme of the app, and choose an icon and colour for each activity. It also breaks down time tracking further than most of the other apps listed—inside categories you can have various tasks. ATracker turns your data into graphs, lets you export your reports and includes alarms to keep you on track. Time tracking can take a lot of time in itself, but if you're trying to work out when and how you spend (or waste) your time, it's worth trying. Just a couple of weeks of strict tracking can be enough to give you an idea of what your days normally look like and how you can be more productive. If you liked this post, you might also like our roundups of apps to track your music, movies and games, apps to track your habits and apps to track your sleep. So far RescueTime has proven to be a popular request among Exist users so we're planning to start integrating that soon. Sign up for an Exist account to track and understand your life.